UPDATE: It was previously reported that Evan McMullin would not physically be at the town hall meeting in St. George Saturday evening, but would be appearing through a Skype call. It has since been confirmed by his campaign that McMullin will be at the meeting in person, though the start time has been pushed back to 7:30 p.m. Information on the location of the town hall meeting is supplied at the bottom of this article. ST. GEORGE – For those looking for an alternative choice to the primary offerings in the presidential race this year, independent presidential candidate Evan McMullin’s campaign is stopping in Southern Utah for town hall meetings Friday and Saturday. But just who is this McMullin fellow? He made headlines this week in Utah and beyond for being in a close tie with candidates Donald Trump and Hillary Clinton, according to a poll conducted by Y2 Analytics and published in the Deseret News Tuesday. Trump and Clinton came in at 26 percent each with McMullin close behind at 22 percent. Libertarian presidential candidate Gary Johnson came in at 14 percent. The poll’s margin of error is plus or minus 4.4 percentage points. McMullin is a 40-year-old graduate of Brigham Young University, former CIA operative, investment banker and congressional staffer, who also happens to be a member of The Church of Jesus Christ of Latter-day Saints. 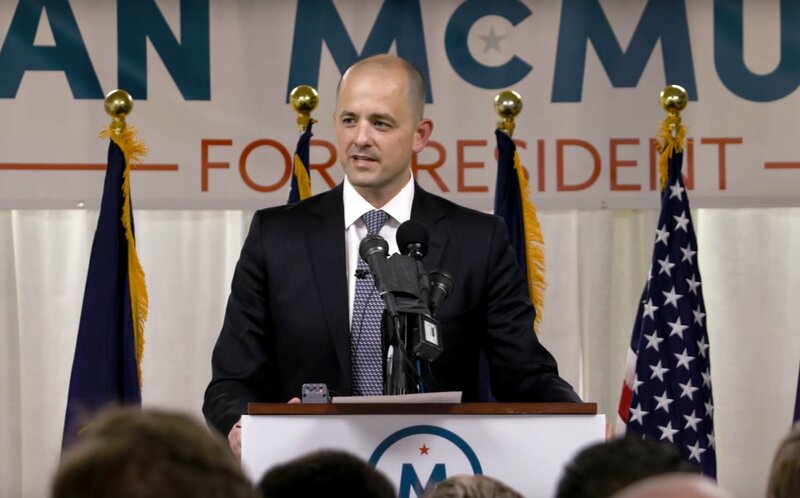 With the Trump campaign getting blasted following the release of a 2005 recording of the Republican nominee engaging in crude remarks about women, McMullin has enjoyed a surge in popularity as a number of voters in Utah look to potential alternatives to The Donald. McMullin was born in Utah and grew up in Washington state. He was taken on by the CIA while attending Brigham Young University and served as a counterterrorism operative in the Middle East and elsewhere. Following his time with the CIA, he went to business school and eventually went to work for Goldman Sachs for a time. By 2013, McMullin joined the House Committee on Foreign Affairs as a senior advisor. He later became the chief policy director for the House Republican Conference. It was this job McMullin ultimately left after coming to the decision to run as an independent Republican for president. “When it became apparent that Hillary Clinton and Donald Trump were going to be the presumptive nominees for the race, a group of individuals got together – a group called ‘Better for America’ – to search for an independent candidate to run,” said Brady Quinn, Utah Operations Manager for the McMullin campaign. McMullin supported this effort. According to a Washington Post article published in late August, McMullin was no lover of Trump and saw him a potential threat to the country. Because of this, when no candidate could be found by the Better for America group to counteract Trump, McMullin decided to be that candidate. McMullin announced his candidacy for president on Aug. 8 in Salt Lake City. As a candidate, Quinn said McMullin offers America a better choice on the ballot, and called him a genuine man of honesty and principle. McMullan also upholds the Constitution, he said. Quinn said parts of McMullin’s platform have been popular with prospective voters such as his stances related to foreign policy and dealing with ISIS and the general chaos in the Middle East. The range of issues McMullin addresses can be found on his campaign website. While appearing on “Your World with Neil Cavuto” on Fox News Thursday, McMullin called himself the only conservative in the presidential race when asked about being a potential spoiler. 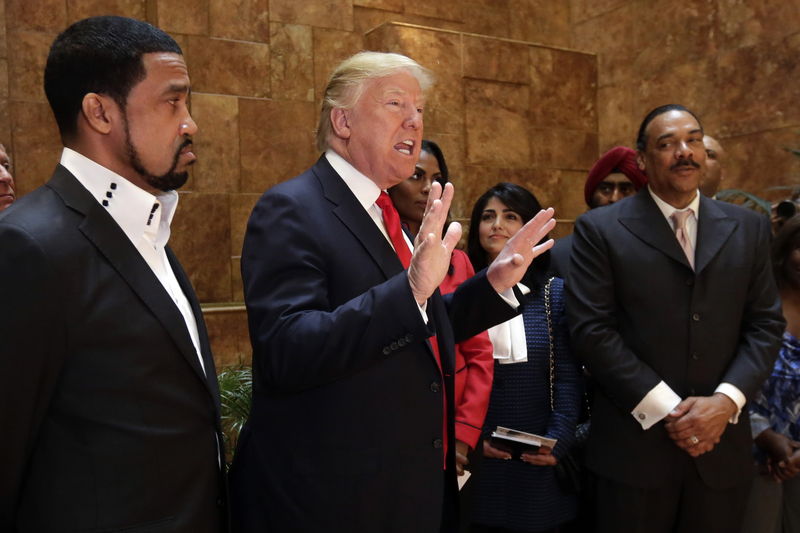 He has also been described as a center-right candidate by The Washington Post. McMullin is not only doing well in Utah, Quinn said, but is also growing in popularity in other Western states like Idaho, Colorado, Arizona and New Mexico. He also has followings in Minnesota and Virginia, he said. “We feel the momentum will continue to pick up,” Quinn said. According to news website FiveThirtyEight, if McMullin wins Utah’s six Electoral College votes, it could deny both Trump and Clinton the 270 votes they need to achieve victory on Nov. 8. If this were to take place, the decision of who the next president could be is thrown to the U.S. House of Representatives, as outlined in the 12th Amendment. At that point each state delegation gets one vote between the top three presidential contenders. McMullin’s run for the White House may stand a slightly better chance than a snowball would in the middle of a St. George summer, according to FiveThirtyEight’s data. The full run down and explanation of this scenario can be found on the FiveThirtyEight website. There will be three opportunities in Southern Utah on Friday and Saturday to learn more about McMullin’s candidacy. Town hall meetings are scheduled in Garfield, Iron and Washington counties. Quinn will be at the town hall meeting in Garfield and Iron counties on McMullin’s behalf. McMullin himself will be present at the Washington County town hall meeting in St. George Saturday evening. What: Town hall with Brady Quinn, Utah Operations Director for the McMullin Campaign. When: Friday, Oct. 14, at 7 p.m.
Where: Escalante Community Center, 100 N 100 West, Escalante. When: Saturday, Oct. 15, at 2 p.m.
Where: Cedar City Library, 303 N 100 East, Cedar City. When: Saturday, Oct. 15, at 7:30 p.m.
Where: Top floor of the Dixie Academy (St. George Children’s Museum), 86 S. Main St., St. George. Oh you silly Mormons, you go show ’em! The rest of the country will never see it coming. We will show you, we will put OUR own guy in there! Baaaaaaa. Baaaaaa. Exactly right. McMullin brings to mind the Karl Marx quote (later used by Vladimir Lenin): “My adherents are useful idiots.” Well meaning people are being used by others with alterior motives. you don’t know what your writing about, and your blabbering gets old. I ignored your comment with the same link on the other article. You should be more careful while pedaling your three-wheel bicycle. Still working on putting together your list of military accomplishments to share with us? Or are you just going to acknowledge that you’re a Phony? That you’re really a spineless Coward and Liar? God bless you my fellow brethren. shouldn’t you be at work ? Praise the Lord ! Many people will write-off Evan McMullin as a hopeless cause, but he DOES have a pathway to becoming president, and it isn’t entirely far-fetched. If neither candidate (and both Trump and Clinton are AWFUL) gets to 270 electoral college votes then the House chooses the president from among the 3 candidates with the highest electoral college vote count. (see https://www.archives.gov/federal-register/electoral-college/faq.html#no270). In reality it is most likely those 3 will be Trump, Clinton, and either Sanders or Cruz, but there is a chance it could be McMullin if he won Utah and no other 3rd party candidate won a state. It at least gives me a faint glimmer of hope that we won’t have a Pres Trump or a Pres Clinton. They’re both despicable human beings with horrible track records and are all liability and no asset. Hey Brian you think the Russian Hackers have anything to do with this or maybe it’s just aliens ? Please update this story. He will now be here in St George on Saturday in person. Not a fan? Perhaps you should show up and have a grown up dialogue. You are correct. It has been confirmed with McMullin’s campaign that he will be in St. George in person Saturday evening, though the town hall itself will be pushed back to 7:30 p.m. The article has been updated to reflect this.